I’m always looking for tools and techniques to be a better parent because I never find that I’m parenting as well as I would like to. I look at other moms and think I wish I could be that mom… Sometimes, it’s great to get perspectives from an expert. 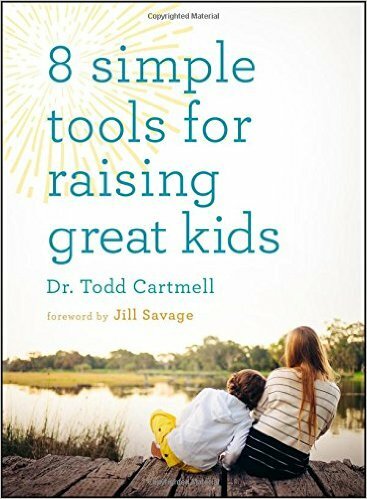 So, when I had the opportunity to review 8 Simple Tools for Raising Great Kids, I was looking forward to the opportunity to learn from an expert. Cartmell writes with the wisdom and experience of someone who has been there which makes me more apt to pay close attention! I really enjoyed his writing style that was almost like having a conversation instead of getting some advice that's way over my head. It's very realistic and practical which makes it seem easy to achieve!They are simple tools but so powerful.. One of the the major downfalls for me was the first chapter: Control your volume control.. I try to keep a calm and gentle voice but many times I find myself raising my volume and I really want to try to change that.